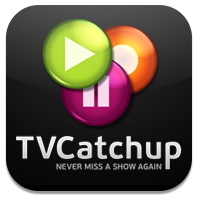 For months and months users from all around the world were looking to unblock access to famous UK TV streaming site – TVCatchup! This is the best place to watch UK TV channels live. For the same reason English users going for holidays to Cyprus, France, Spain or Italy were also asking – can you unblock tvcatchup, can I watch TVC on my holidays? We have great news – Now you can! Because we have managed to officially unblock access to TVC service through our Premium VPN we thought it will be good to celebrate this with small VPN promotion. All our VPN packages in monthly billing cycle are now 25% cheaper. Please copy & paste this code “TVC25OFF” during order at “Promotional Code” box. In order to watch all you need to do is connect to any of our UK VPN servers. This way you will change your IP to an UK IP address. TVCatrchup will work on all your devices with VPN support. We will try to unblock access to TVC via our great Smart DNS service as soon as possible! Tell us on Facebook if you are happy with this news & we will give away few Free US/UK VPN accounts!